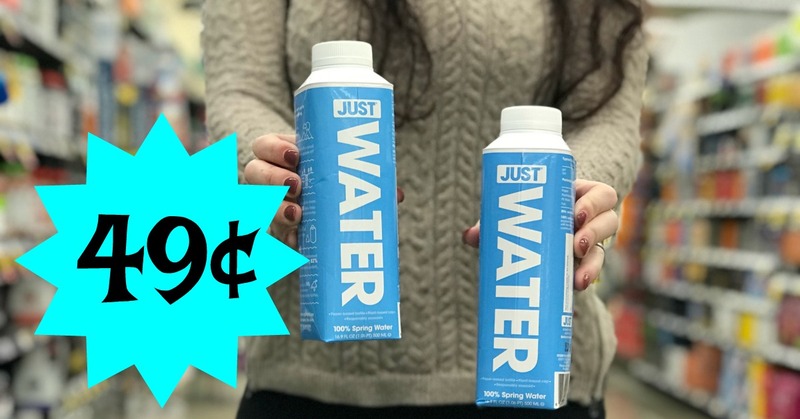 Just Water 100% Spring Water ONLY 49¢ at Kroger!! 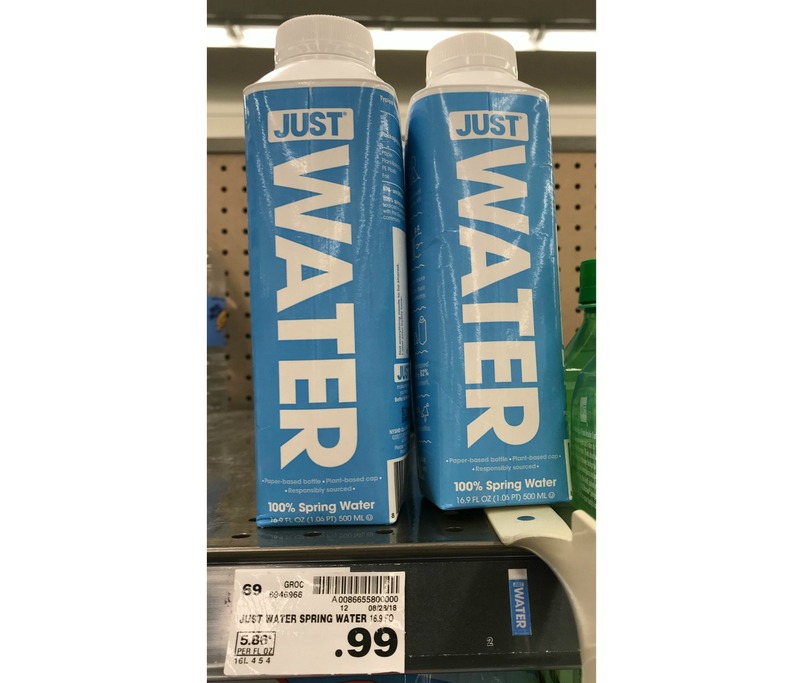 Make sure you download your $0.50 Kroger Digital Coupon (limit 5) for JUST WATER. 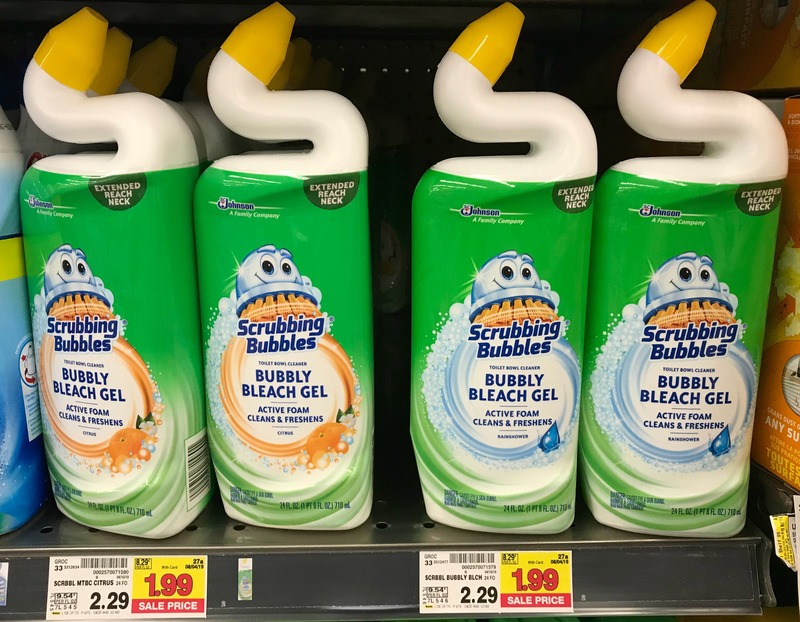 Then head to Kroger, add 5 to your cart and you'll ONLY pay $0.49 per bottle. 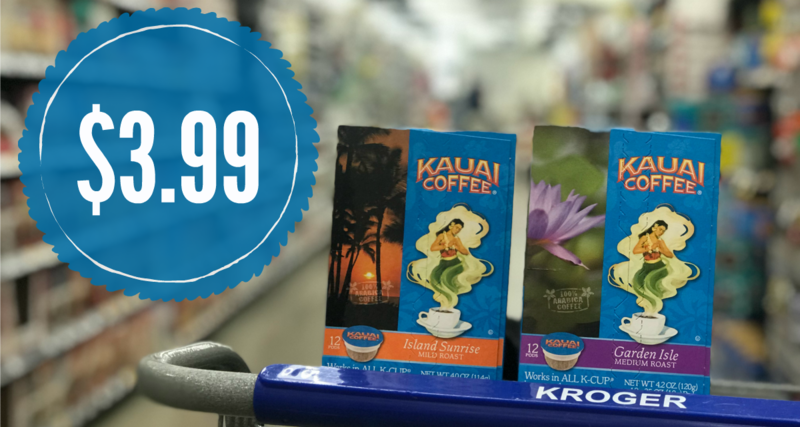 Kauai Coffee Pods ONLY $3.99 During our Kroger Mega Event! 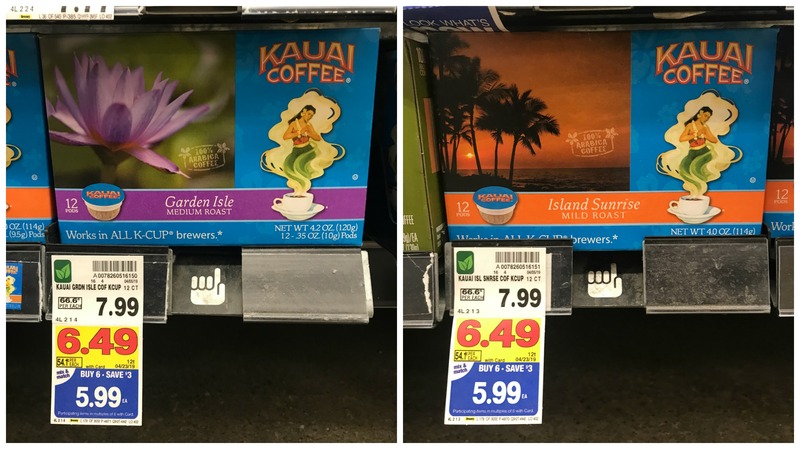 We're going to grab Kauai Coffee K-Cups for JUST $3.99 at Kroger! 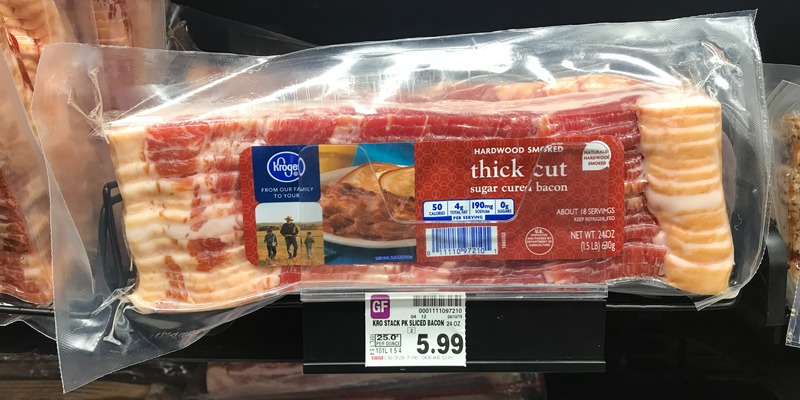 These are in our Mega Event AND we have a great Kroger Digital Coupon making this awesome price for us!! 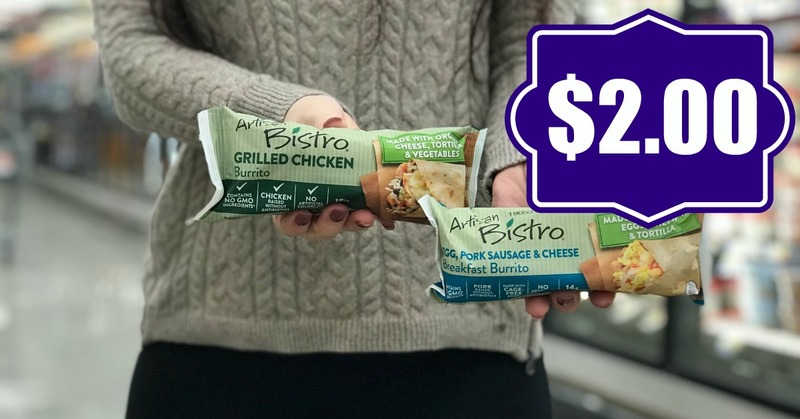 Artisan Bistro Burritos ONLY $2.00 each at Kroger (and they look super yummy)!! Have you seen these new Artisan Bistro Burritos at Kroger because they look kinda amazing. 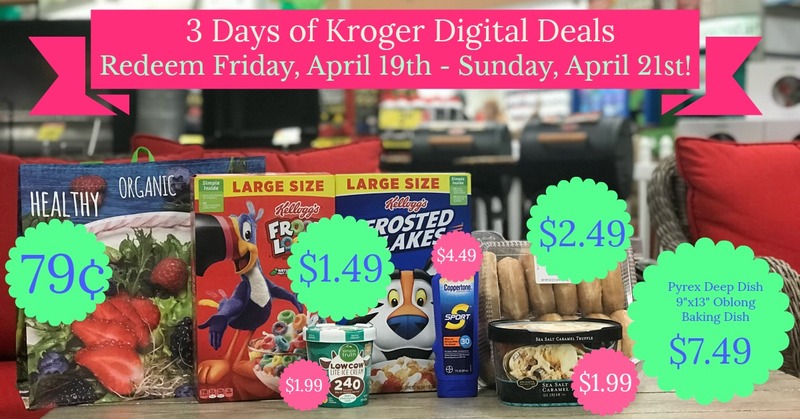 If you download the $2.00 off 4 Kroger Digital Coupon you'll pay $2.00 each instead! 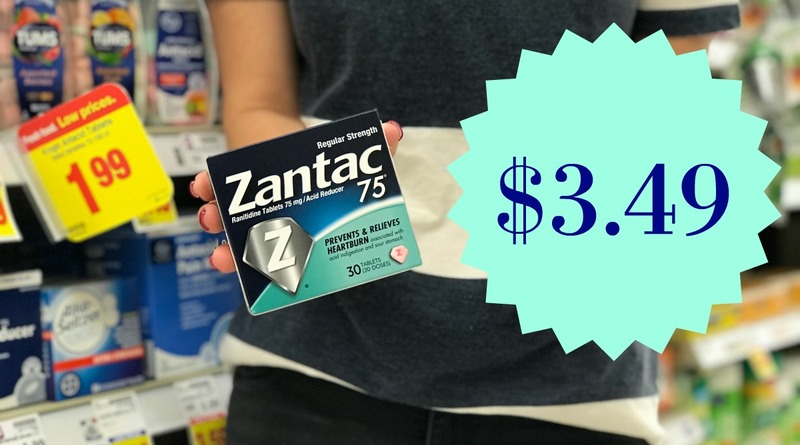 Get Zantac 75 Antacid for JUST $3.49 at Kroger!! 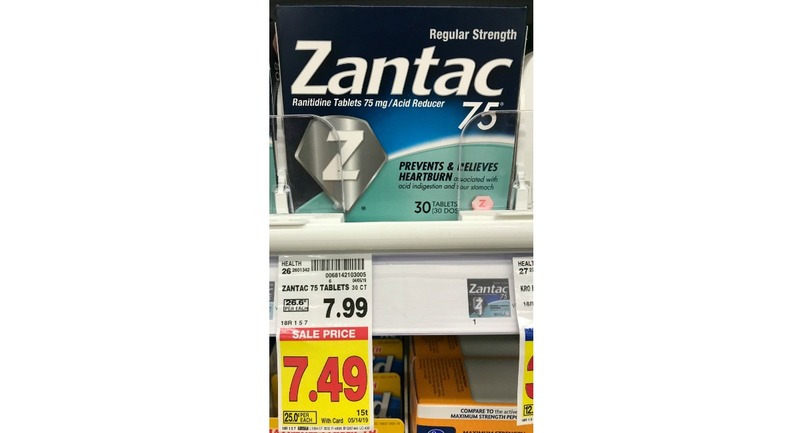 Grab Zantac 75 Antacid for JUST $3.49 at Kroger!!! 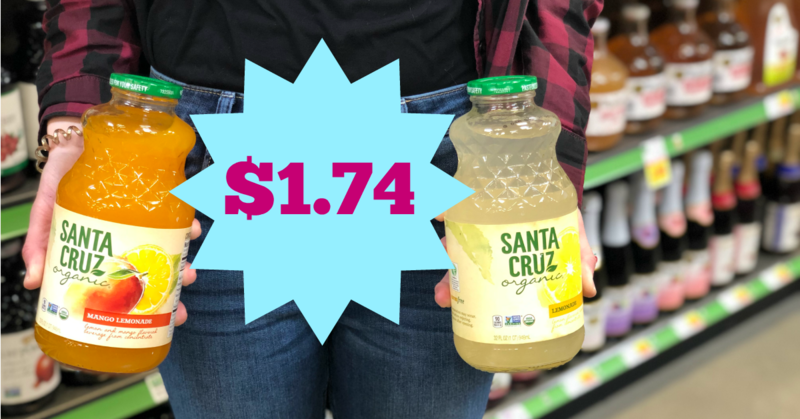 These are regularly $7.99!!! I know I've been having heartburn issues, so I'll be grabbing a box on my next Kroger trip!!! 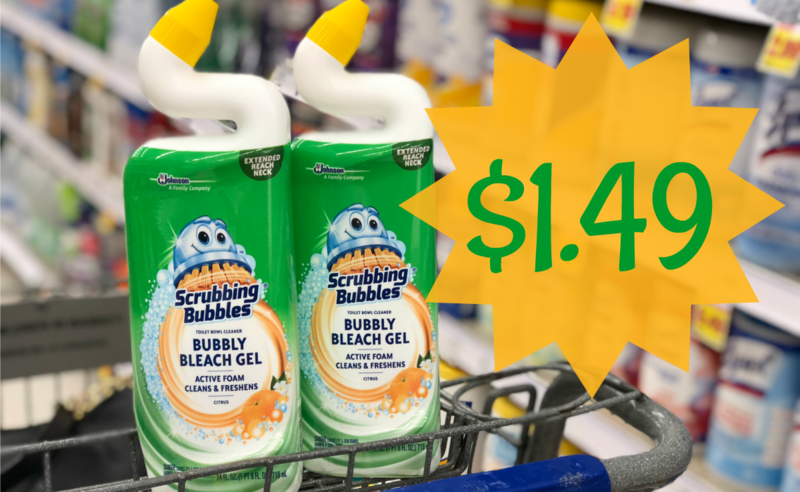 Grab Scrubbing Bubbles Gel for just $1.49 at Kroger right now! These are regularly $2.29, and if you haven't had the chance to try this product out, it it aaaamazing! I switched after trying it during a Mega Sale when we had a great deal on these!!! 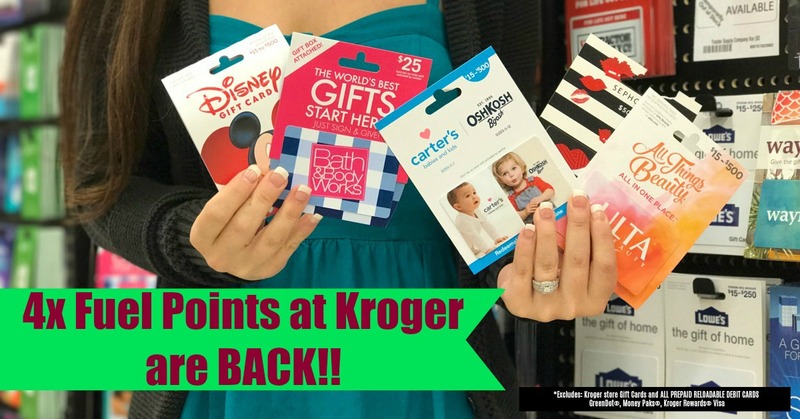 From April 10-24 you can earn 4X fuel points on gift cards at Kroger! Just download the coupon once and you can use it (unlimited) for a couple of weeks. We also have a special bonus that will allow us to get 4X fuel points on Visa or Mastercard Gift Cards. That means 100 Fuel Points for every $25 you spend on gift cards! And remember, gift cards aren’t just for gifts. Take advantage of these fuel points by buying gift cards for yourself! If you plan on shopping at these stores anyway, you may as well take advantage of the gas discount! 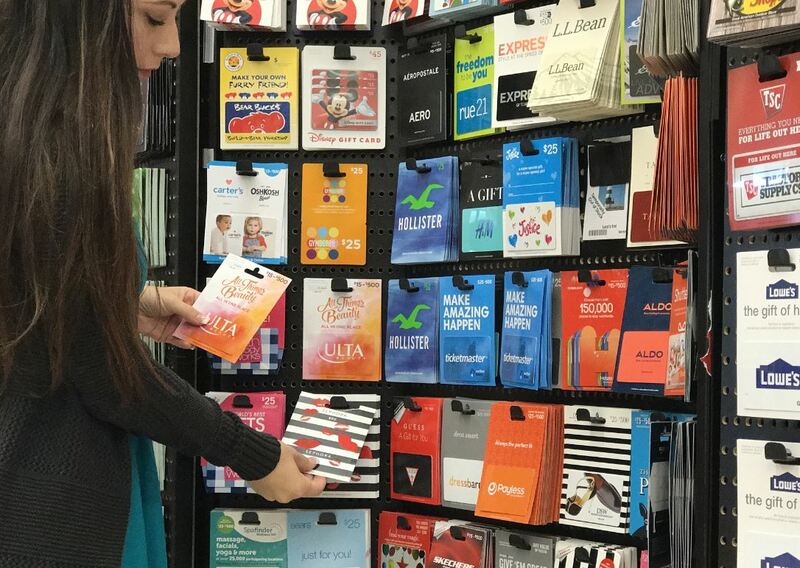 Purchase gift cards, earn 4X fuel points to save big on fuel and then use the gift cards like cash for things you already do like dining out, shopping at your favorite clothing or home repair store or streaming music or games.There are hundreds of gift cards to choose from…you can browse through them here. *Excludes: Kroger store Gift Cards and ALL PREPAID RELOADABLE DEBIT CARDS (GreenDot®, Money Paks®, Kroger Rewards® Visa). Need help understanding how fuel points work? Go HERE!! Limited time offer. Restrictions apply, see store for details. Epic Bars are on sale at Kroger right now, not only that, but we have a printable and digital coupon to pair with that sale!! We'll pay ONLY $1.00 for these items!! 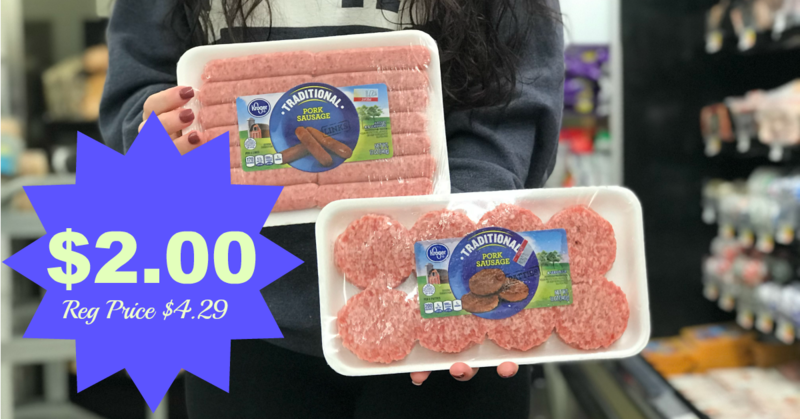 Pick up some Kroger brand Breakfast Sausage and pay just $2.00 when you download the $0.50 Kroger Digital Coupon. Choose between links and patties. 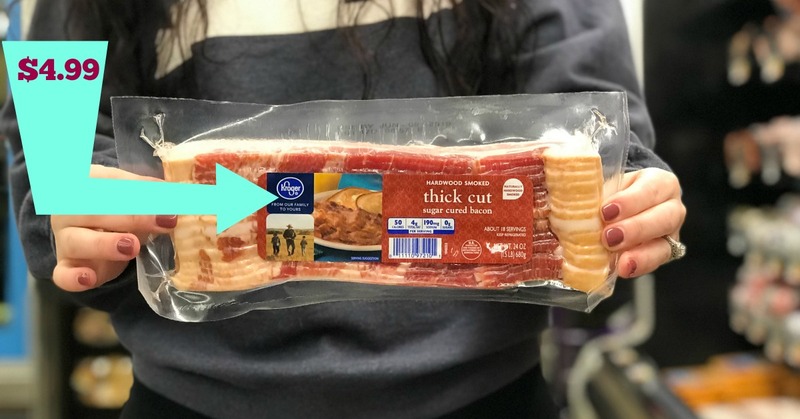 I really do like having these on hand for quick breakfasts (that happen way too often)!! 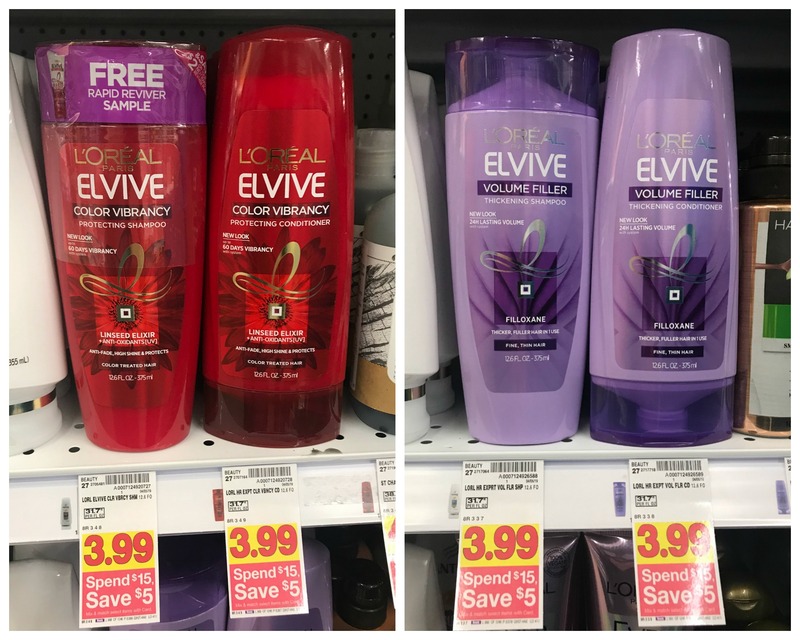 L'Oreal Elvive Shampoo and Conditioner JUST $0.99 each at Kroger! WOW! 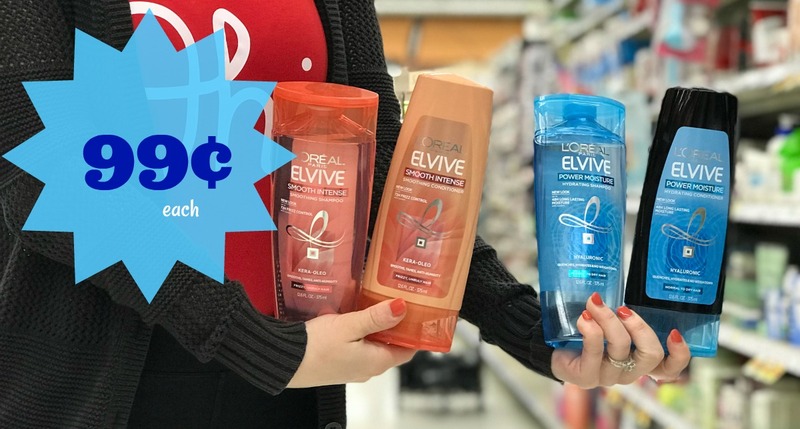 L'Oreal Elvive Shampoo and Conditioner products are going to cost us ONLY $0.99 each at Kroger!!! This is one AWESOME Beauty Event going on! We have a great insert coupon and digital coupon to pair with our $5.00 off during our Beauty Event making this awesome price!! Don't worry, I have the complete breakdown below! !